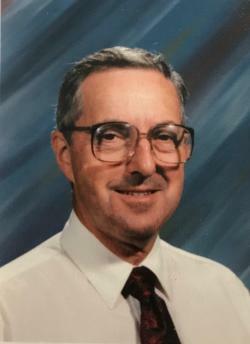 The death occurred at the Maplewood Manor, Alberton on Wednesday, March 13, 2019 of Keith Russell Graham, of Alberton, aged 88, beloved husband of Florence (Matheson) Graham. Keith was born in Brownsburg, Quebec on July 8, 1930, son of the late Russell & Sarah (MacVicar) Graham. Dear father to David (Heather), Lethbridge, AB; Paul (Sandy Savage) Truro, NS; Ruth (Dave) Szabo, Alberton and Sarah (Nigel) Armstrong, Charlottetown. Loving grandfather to Jacob (Kaylie), Hannah and Seth Graham; Nicholas and Cameron Graham; Charlotte, Siobhan and Graham Armstrong. Resting at Ferguson Funeral Home and Chapel, O’Leary with no visitation or funeral, by personal request. Cremation has taken place. In memory of Keith, memorials to Alberton Elementary Breakfast Program or O'Leary Baptist Church would be appreciated.